The call for FY2019 has closed. Please wait for the next call. 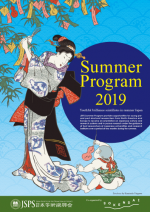 This program provides opportunities for young pre- and postdoctoral researchers from the US, Canada and Europe to receive an orientation on Japanese culture and research systems, and to pursue research under the guidance of host researchers at Japanese universities and other research institutions over a period of two months during the summer. Read the application guidelines and other call documents carefully and learn more about the program. Contact a host institution and gather all the details you need for the application. You should submit the application documents by the deadline. STINT (the Swedish Foundation for International Cooperation in Research and Higher Education) will evaluate all the application documents. Candidates are selected based on their potential contribution to strengthen research collaboration between Japan and Sweden. Applications with all attachments should be submitted by February 7th, 2019 at 24:00 CET to the following email address: agneta.granlund@STINT.se. Each applicant will be notified by e-mail of his/her application result from STINT around May. This information is for the Swedish Authority's Nomination. This program provides opportunities for young pre- and postdoctoral researchers from the US, Canada and Europe to conduct, under the guidance of their host researchers, cooperative research with leading research groups in Japanese universities and other research institutions. External experts will evaluate all the application documents. 1)	Candidates should be outstanding researchers who are expected to contribute to the future of science. 2)	The research plan should be of high scientific quality, specific and realistic. 3)	The proposed collaboration should clearly develop synergies and form strong linkages between Japan and Sweden. Applications with all attachments should be submitted by 28 February, 2019 at 17:00 CET to the following email address: scholarship@kva.se (KVA) or agneta.granlund@STINT.se (STINT). It will be notified from JSPS Tokyo around the end of May. 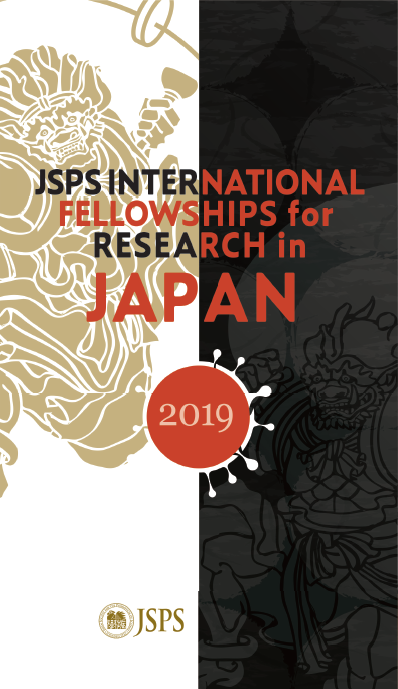 This program provides opportunities for young postdoctoral researchers from overseas to conduct, under the guidance of their host researchers, cooperative research with leading research groups in Japanese universities and other research institutions. Read the application guidelines and other call documents carefully and learn more about the program which will suit you. It will be notified from JSPS Tokyo. 1st recruitment: around the end of May. 2nd recruitment: around the end of July. This program allows researchers employed at Japanese universities and other research institutions to invite fellow researchers from other countries to Japan to participate in cooperative activities at their research institutions. Potential applicants should read the Application Guidelines carefully to ascertain whether or not they are eligible to apply. Applications for the program should be submitted through a host institution in Japan. The host institutions must submit the complete documents to JSPS Tokyo by the end of the application period. This program allows researchers employed at Japanese universities and other research institutions to invite fellow researchers from other countries to Japan for short periods of time to participate in discussions, attend seminars, give lectures, or conduct similar activities at their research institutions. Potential applicants should read the Application Guidelines carefully to ascertain whether or not they are eligible to apply. Applications for the program should be submitted by a host institution in Japan. The host institutions must submit the complete documents to JSPS Tokyo by the end of the application period. Each applicant, or host researcher will be notified through the host institution of his/her application result from JSPS Tokyo. Under this program, overseas researchers who have eminent records of research achievements and awards on a Nobel Prize level, and who are active leaders in their fields are invited to Japan to give lectures, guide research, and conduct other activities. Applications for the program should be submitted through a host institution in Japan. The host institutions must submit the complete documents to JSPS Tokyo by the end of the application period.